Ruined my new BBK but how? Does your Spree/Elite already run great, and you're trying to make it quicker/faster? Need a monster motor swap? Discuss your ideas here. I did plenty of heat cycles, and broke it it properly. I probably had 5-7 tanks of gas worth of riding. So I blew up my new BBK and donÔÇÖt know why it happened. The guy that bored it out said my air/fuel was off but the mechanic at work thinks there was something in it. Just trying to get second opinions so I donÔÇÖt do it again. It happened when I was going about 50MPH and I donÔÇÖt think my temperature was over 350. My average temp would be 280-320 going up hills and cruising and the HIGHEST it went was 378 full throttle up a mile long hill. The inside part doesnÔÇÖt have scratches or grooves, it was was actually raised up where the marks are. Re: Ruined my new BBK but how? Possibly (probably) too small of a main jet (105?) Was there an exhaust leak at cylinder flange.?.?.? Maybe you got on the throttle before it came up to running temp. Pineapplegti wrote: Ruckus mods should never carry over to vintage scooters......it just isn't kosher. bonesv wrote: Possibly (probably) too small of a main jet (105?) 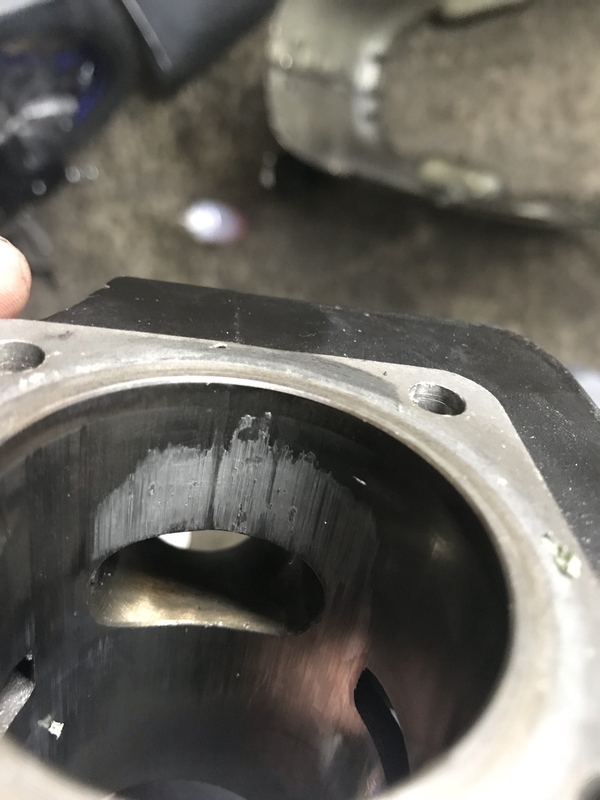 Was there an exhaust leak at cylinder flange.?.?.? Maybe you got on the throttle before it came up to running temp. What should I try to jet up to? Still a noob when it comes to carb tuning. I donÔÇÖt believe there was a leak, but I wouldnÔÇÖt be surprised if there was. I overtorqued the lower exhaust stud and broke it, had it welded back on but IÔÇÖm pretty sure I had a good seal on it. This is suspect as is the 105 main jet. I bet it ran good when it did run! Always start too big on main jet and come down-never the other way around. Ask questions like this BEFORE not after. Talk to the guys you bought the parts from. No amount of oil can cool a cylinder, the fuel does that along with the fan and fan shrouds. Make sure you have all the shroud parts installed and sealed up like it's supposed to with just the opening on the carb side and use a proper seal around the spark plug cap. bonesv wrote: This is suspect as is the 105 main jet. I bet it ran good when it did run! Always start too big on main jet and come down-never the other way around. Ask questions like this BEFORE not after. Talk to the guys you bought the parts from. No amount of oil can cool a cylinder, the fuel does that along with the fan and fan shrouds. Make sure you have all the shroud parts installed and sealed up like it's supposed to with just the opening on the carb side and use a proper seal around the spark plug cap. Alright IÔÇÖll start with putting a bigger main jet in, and checking if everything is sealed up nice and tight. IÔÇÖve made many mistakes with this build but IÔÇÖve learned a lot from them and hopefully donÔÇÖt make the same mistake twice! Use a good temp gauge that mounts under the spark plug. Use correct spark plug. I recommend using only NGK BR8HS or BR9HS spark plug. Don't break it in with synthetic oil. Use a regular oil to allow some wear-in of the cylinder/rings. No steady throttle for long periods. Mix oil accurately. Check compression and read spark plug. Check for any oil leaks around exhaust flange. Start with 112 or 115 main jet/ 38-40 pilot. You can always lower it if needed. M1ZZHEAD wrote: The guy that bored it out said my air/fuel was off but the mechanic at work thinks there was something in it. 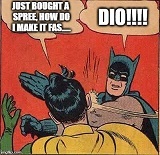 What did the guy ÔÇ£bore outÔÇØ? The mechanic was wrong, there was nothing in there but excessive heat. 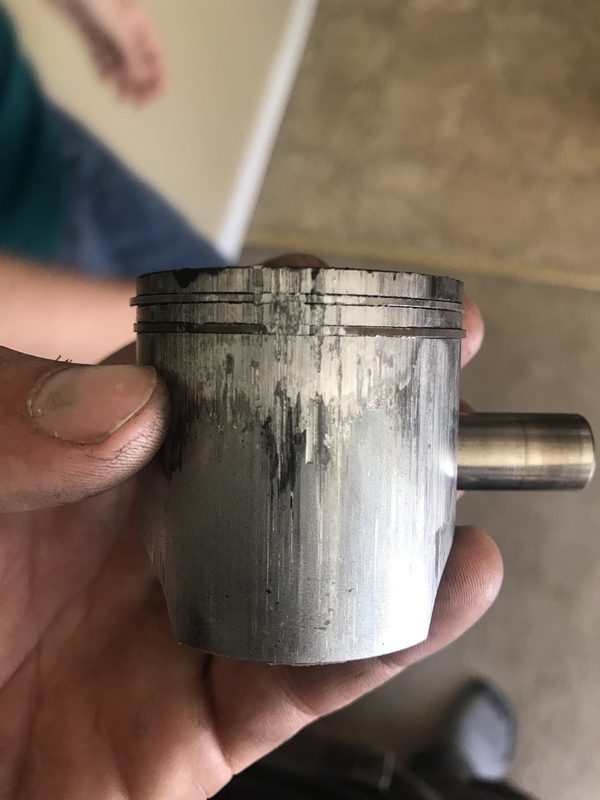 Thats what caused the piston to smear molten aluminum on the cylinder wall. Always on the exhaust port too...tell tale sign. 24mm Polini with 40/114 mixture screw is ONE turn out. Even set-up like this IÔÇÖve reached scary temps of 400 when running it for hours, climbing hills and hammering the throttle to death. 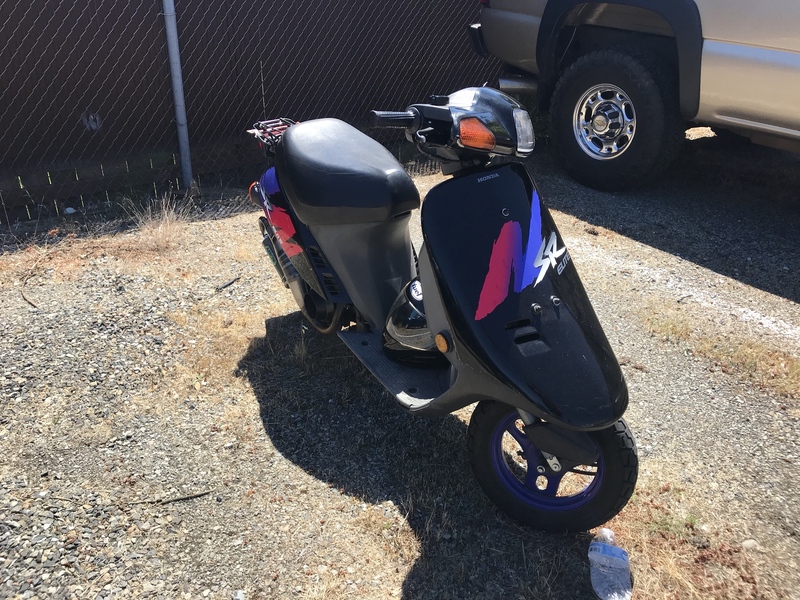 I beat the living * out of my scoots because thats my fun. You could try an even higher jetting and twist the screw out more...watch temps. Good info: when jetting, a CHT is a must. YouÔÇÖll burn up bore after bore without it. If you DO have a temp gauge and youre trying a new jetting, when you blast a long WOT run and temps are at like 320 and jumping up 20deg at a time...stop!. Because temps rising TOO fast at that range. They can jump in the 200ÔÇÖs...but not 300ÔÇÖs. If youre looking for a new Corsa, PM me. I cant point you in the right direction. He said it honed it out back to was it originally was, which is 47mm I believe. I already bought another Corsa from SSS and IÔÇÖm gonna save my old one for my other build (I have an AF16 bottom end hoping to slowly piece together and slap it on a Spree). I have both a TrailTech CHT and a tach so IÔÇÖll be able to monitor if itÔÇÖs jumping up like that. I donÔÇÖt ride at WOT too often, just mainly goofing around bombing up hills or random straights. I mainly stay around 35-40 in traffic go to and from work. What should I try for jetting? I like having the lower end power and I donÔÇÖt think IÔÇÖll be hitting WOT for more than a few minutes at a time. Last edited by M1ZZHEAD on Wed Jul 04, 2018 12:16 pm, edited 1 time in total. bonesv wrote: Use a good temp gauge that mounts under the spark plug. Use correct spark plug. I recommend using only NGK BR8HS or BR9HS spark plug. Don't break it in with synthetic oil. Use a regular oil to allow some wear-in of the cylinder/rings. No steady throttle for long periods. Mix oil accurately. Check compression and read spark plug. Check for any oil leaks around exhaust flange. Start with 112 or 115 main jet/ 38-40 pilot. You can always lower it if needed. Thanks! Supposed to have my new Corsa by the weekend and hopefully should be able to start the heat cycles over the weekend. IÔÇÖve read mixed opinions on breaking it in with synthetic. Id try 40/114 for jets to start with. The mixture screw should always stay between 1 and 2 1/2 turns out. If it needs to be above or below this range then a different pilot is required. Dont worry about doing any ÔÇ£fine tuningÔÇØ until youre past the break-in period completely or youÔÇÖre wasting your time. Best thing to do is start with fat jets, break it in nicely and THEN monkey with the jets to get it dialed. Of course, initially youÔÇÖll have to play with the mixture screw just to get a decent throttle response for break-in runs. 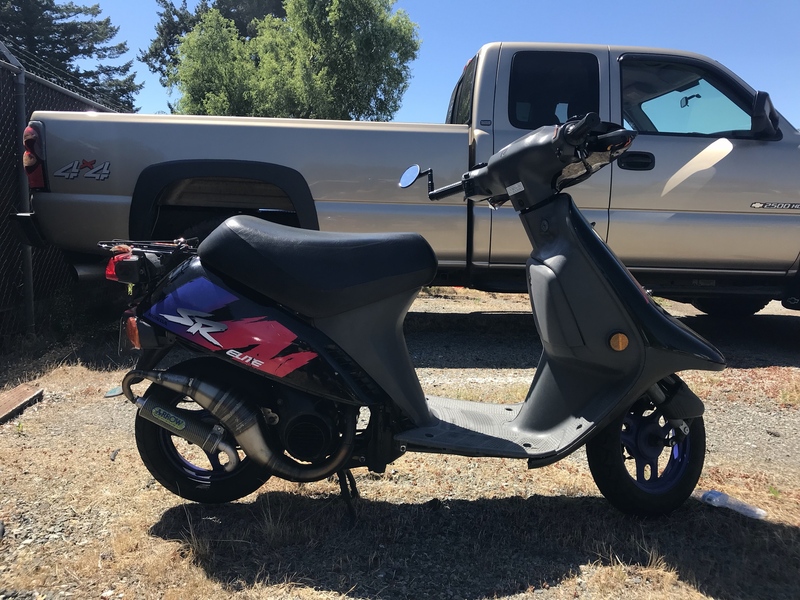 The scoot will tell you what it needs if you know what to listen for. Subtle sounds are tough to describe in words but if you blip the throttle and its suuuper crisp and the rpm hangs a bit before returning to idle, its lean pilot. If you blip and its muddy and has a frog in itÔÇÖs throat, its rich. People call it ÔÇ£rich bogÔÇØ but keep in mind there is also a ÔÇ£lean bogÔÇØ too. Both ÔÇ£bogsÔÇØ can react very similar but how it acts AFTER the bog when you let off the throttle can give you an indicator on which one it is. Everybody has a different view on tuning so dont take any of this as gospel. Read as much information as possible and prepare to do 100 jet changes along the way. Just remember that every time you swap a jet or turn a screw it reveals information and provides you experience....pay close attention to the differences each change makes and write it down if that helpss...I do. Meatball wrote: Id try 40/114 for jets to start with. The mixture screw should always stay between 1 and 2 1/2 turns out. If it needs to be above or below this range then a different pilot is required. Dont worry about doing any ÔÇ£fine tuningÔÇØ until youre past the break-in period completely or youÔÇÖre wasting your time. Best thing to do is start with fat jets, break it in nicely and THEN monkey with the jets to get it dialed. Of course, initially youÔÇÖll have to play with the mixture screw just to get a decent throttle response for break-in runs. Thanks for all the help! I did research before and I will do plenty more and take notes as I go. Hopefully I donÔÇÖt blow another Corsa haha. When I was checking my jets IÔÇÖm at a 38/108 (not 38/105 like I thought) so 40/114 may be pretty close to where I want to be! i ran than setup minus the arrow. You should be around 110-112mj and I lost my first 2 BBks to user error. one thing that I did learn is even if you think you dont have an air leak you probably do. lots of good advice already given. good luck and lets see the bike? red contra with yellow clutch springs. Rip_City_Spree wrote: i ran than setup minus the arrow. You should be around 110-112mj and I lost my first 2 BBks to user error. one thing that I did learn is even if you think you dont have an air leak you probably do. lots of good advice already given. good luck and lets see the bike? IÔÇÖve been noticing IÔÇÖm running rich but IÔÇÖm not gonna goof around with jetting until I put more miles on it. 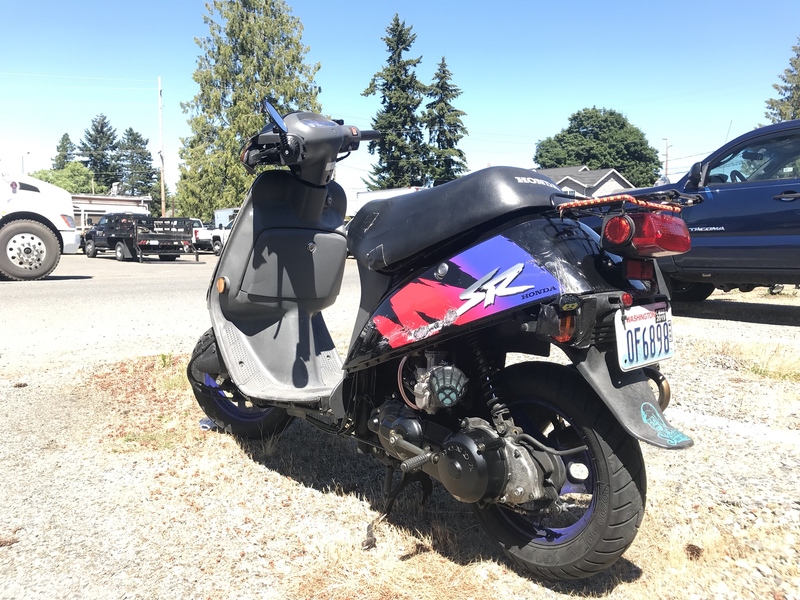 Yeah, IÔÇÖve been putting Hondabond on a lot of stuff. I watched a video from SSS about common leak areas and took care of all of those spots but havenÔÇÖt really tested for leaks. I have noticed a little oil or mixed gas(?) leak coming from what I think is the gear case and only see it after I cruise around and itÔÇÖs only a few drops. I have a newborn due in early August so itÔÇÖs gonna be a busy month for me but IÔÇÖm hoping to make it. If not this year then next!